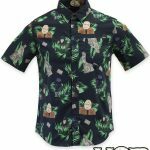 For years, Middle of Beyond's amazing horror apparel has been featured in Heather Wixson's Holiday Gift Guides, and with the holiday season now in the rearview mirror, they're kicking off the new year with new button-up shirts featuring Ghostbusters, Planet of the Apes, and an ode to Stanley Kubrick's The Shining. Priced at $55 apiece, […] The post Middle of Beyond’s New Button-Up Shirts Include PLANET OF THE APES and GHOSTBUSTERS appeared first on Daily Dead. 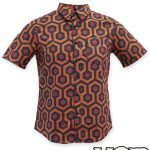 For years, Middle of Beyond's amazing horror apparel has been featured in Heather Wixson's Holiday Gift Guides, and with the holiday season now in the rearview mirror, they're kicking off the new year with new button-up shirts featuring Ghostbusters, Planet of the Apes, and an ode to Stanley Kubrick's The Shining. 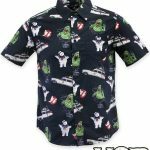 Priced at $55 apiece, the Ghostbusters, Planet of the Apes, and "The Hotel" shirts are 100% cotton, feature prints on all sections of the shirt, and come with a chest pocket and button. You can check out the new shirts below, and be sure to visit Middle of Beyond's official website for more information.